One of those cards that is just too cute not to share. 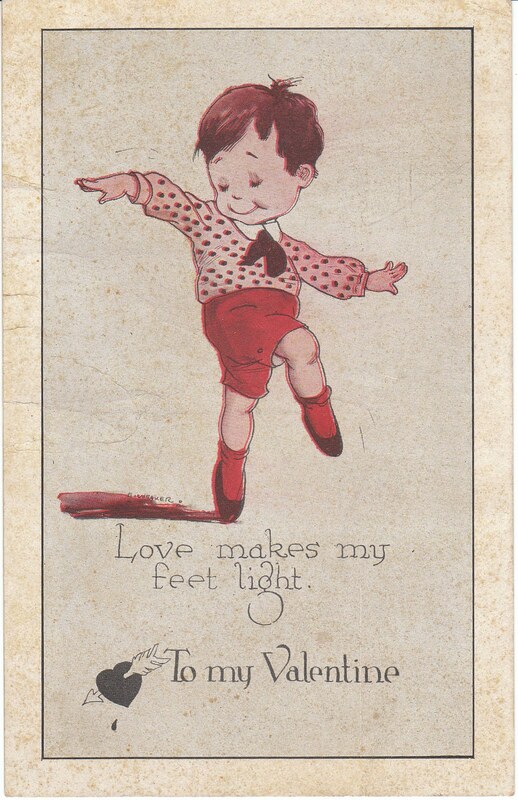 A little boy dances happily on this 1920's vintage postcard. It is from the Valentine Comic Kids Series (No. 2316). The caption reads: "Love makes my feet light."